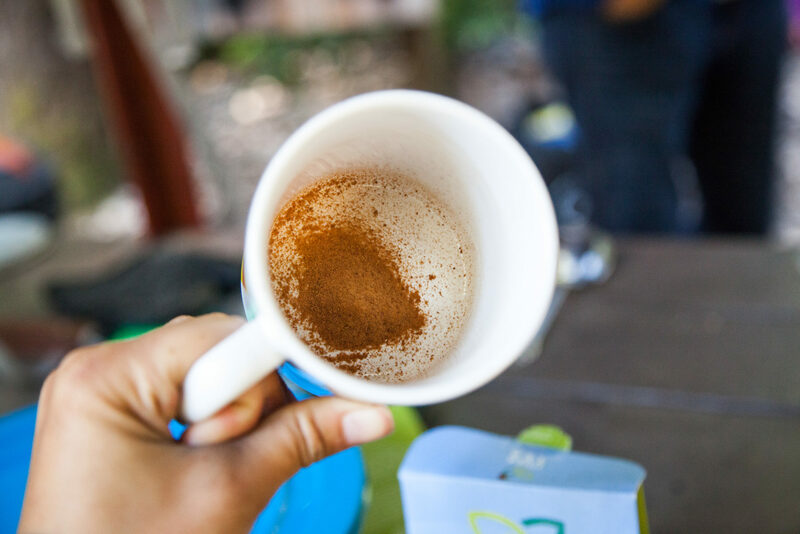 Cusa Tea is a powder that you drop into water—hot or cold—for your instant caffeine fix. The tea goes through a cold steep process, similar to cold brewing, to extract the flavor. Afterwards, the liquid is vacuum dehydrated to create the crystals that form the tea powder. All the tea is sourced from small, organic farms in remote valleys in Asia to ensure the purest and highest quality tea makes it into your hands. I’m not sure what I think of it. Unlike instant coffee, instant tea doesn’t add much more convenience to my life. Instead, a teabag has been swapped out for a tea packet. Tea is ready in just 3 seconds, but the most time consuming factor is still boiling water. Using a powder makes it more difficult to control the strength of your tea. A stronger flavor means a higher risk of oversaturating your drink by adding in more powder packets or decreasing the amount of water. The packaging, however, is easier to carry out. No soggy tea bag, just a wrapper. 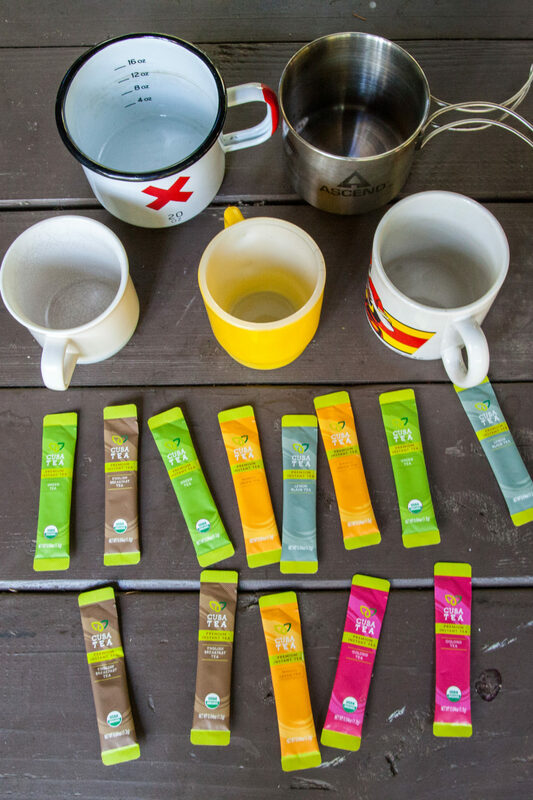 While some people might be extremely excited about having instant tea, this doesn’t quite fit my lifestyle when it comes to backpacking and alpine climbing. I generally don’t consume beverages other than water, and occasionally, electrolytes, when I’m backpacking, primarily to save weight. I also don’t drink very much caffeine, period. However, I would not turn it down if it was available. Cusa Tea currently comes in five different flavors, including the classic English breakfast. Each pack contains 10 individual servings of tea. For those who like to mix it up, a variety pack is available. Buy a pack of 10 through Amazon or their online store for $9.99. Not a tea person? 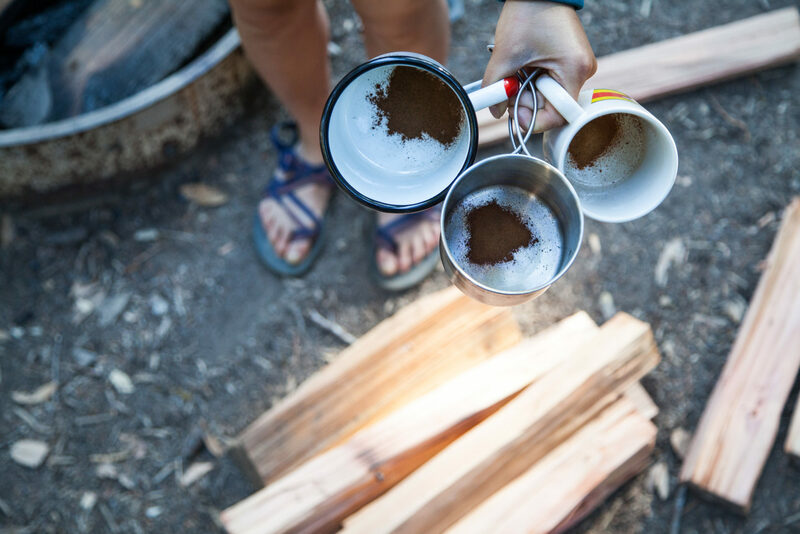 I’ve got more tips on how to caffeinate while camping.